Supreme is back with another eye-catching Nike collaboration. 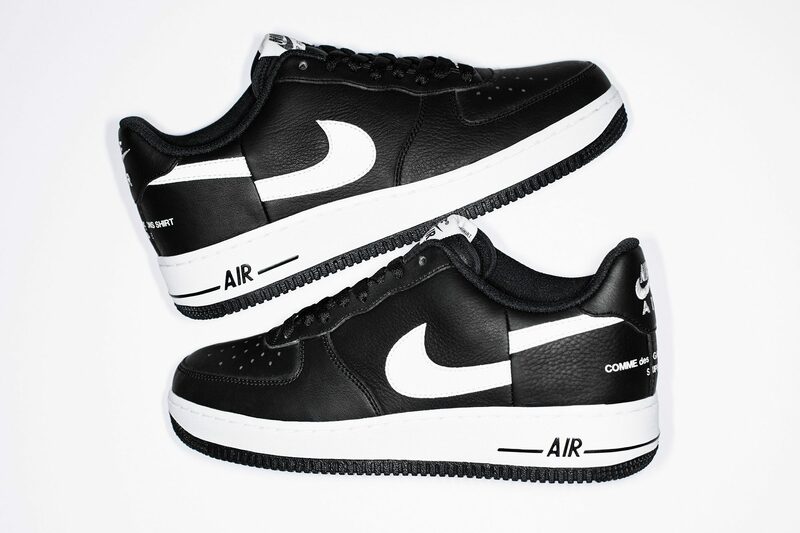 This time the brand has teamed up with Comme des Garcons SHIRT on a black and white Air Force 1. With a leather upper, split swoosh, and printed logos on the heel, this design will certainly go down in history as one of the best of 2018. Take a look at additional details below. The shoe releases on Thursday online, and at Supreme flagship stores in New York, Brooklyn, Los Angeles, London, and Paris. In arrives in Japan on November 10. Have a look at additional details below.